A squaw – she is a lady, a woman, a queen, a princess, in fact, she is priceless! 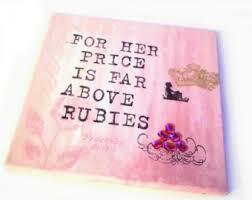 This post is dedicated to every woman who is diligently pursuing excellence in all her life’s endeavors. How awesome, fearfully and wonderfully made you are! 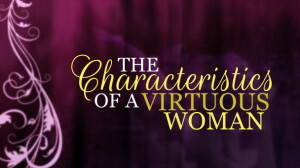 God took some time to make every human being and even more time to make a woman – a virtuous woman – with all her intricacies and complexities which make her so unique. For this reason, we as women must show forth the light of Him who has created us. I believe that every woman is powerful beyond measure with great deposit waiting to be cultivated. 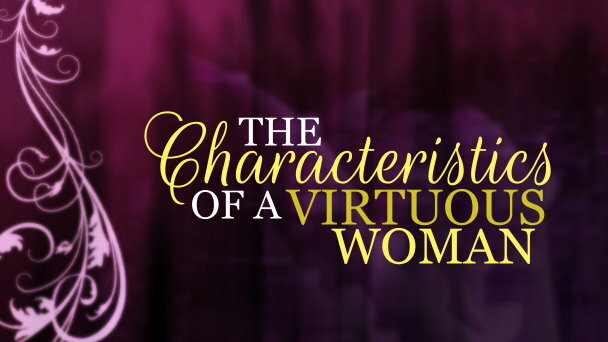 The Virtuously Empowered Squaw is part of a book that I am currently working on, excitedly, and in talking about a virtuous woman, Proverbs 31:10-31 does justice in giving a very descriptive image of this woman. She has some great qualities that we as women must aspire to have. As works in progress, everyday presents an opportunity for us to apply and live out these attributes! She is a great homemaker / Wife and her husbands heart safely trusts her. She is virtuously empowered to empower! I personally have so many of them to celebrate, my two beloved mothers, my God mother Bishop Peace Okonkwo, and to all my adorable female mentors, too numerous to mention… I celebrate these women and I remain blessed to have them in life. Thanks for leaving your comments on my blog! Thanks Nina for the exciting Squaw post! my mother Mrs Faith Christiana Nwamadi and my Aunties who helped raised me. I appreciate their faith, discipline and love, these women and others who work hard to acheive excellence totally inspires me to the best! I can totally relate, Tina, thanks for sharing! Mrs Theresa Ejiasa Asanaeneng that proved it to me that there exists women that can stick to their husbands through thick and thin. The my greatest friend Amaka Ngozi Okoro that never gave up on me even when I departed. Amaka Dominion that has been a source of strength and focus. And such wonderful laughter. Blessing Jaja that made my recovery from Meningitis a FRUITful experience. Rita Okoro I still think you have the coolest voice ever. Hope you make it on TV. Nnaomi the Nurse: I believe you were a vessel God chose to use to save my life during my illness. Finally to Nina Ijere, I tell every lady I see struggling about your success and how they can benefit from your activity. Keep up the Good work. You are touching lives. Benjamin dear.. thanks for sharing and I am also humbled that you have my name “penned,” I thank God everyday for sending you my way as a brother, you are phenomenal! Great post, love the motivation. I’m very excited to watch your progress…. Thanks Jeff!!! You know that you are a huge part of this story, thanks for all you do to support my vision!! Thanks Nina, I am so excited about this squaw post. My best regards go to all women who have not relented in their endeavour to acheive success and greatness, despite all the challenges that may come along the way. My sincere gratitude goes to my beloved mother, Mrs. Orie-Ben Ijere who has armed me with substantial amounts of integrity, self-confidence, smartness, credibility and above all, love for myself and others . Many thanks also go to my one and only sister, my love , my sugar..Nina Ijere for always being there for me and for constantly teaching me to always believe in myself. Hello Nina, actually, I do have a number of wonderful women who have also affected my life so greatly. Firstly, Mrs Nwagu M.Obasi (may her soul rest in peace) was my third grannie.She made me understand the basics of English language.I remember back in the days when we would play scrabble for hours. I wasn’t up to ten then but she would play the game with such caution and concentration as though we were equals…’twas great fun and I learnt a whole lot from her. Then, Auntie Cee Omoji, mum’s best friend….I’ll never forget your pretty face and that lovely smile. How you gently called my name “Chief” …. Oh! Such tenderness, I’ll never forget. Esther Ogba, thanks for being such a beautiful friend. To all women working to achieve success, may the light and favor of God shine upon you.